In this part of the website is where you’ll find articles on caravanning. Now, we’re no caravanning experts. Our expertise is in tent camping. However, we have been challenged by the Camping and Caravanning Club to use a Compass Casita caravan for a year. So, as we learn a thing or two about caravanning, we’ll publish them here, as well as our progress on ‘The Challenge’. Click here to view our challenge Treasure Album.  Click here to view posts for First Time Caravanners. Caravan Challenge Over – So how was it?